For the thousands of Australians who recently attended the Motley Crue and Bret Michaels tour extravaganza, it would have been blatantly obvious to you all that the band playing with Bret Michaels wasn’t C.C, Rikki or Bobby, so in case you didn’t catch Bret’s introduction on the night….allow me to introduce that band to you – Pete Evick, Chuck Fanslau, Ray Scheuring and Rob Jozwiak, who are known in their own right as “Evick”. 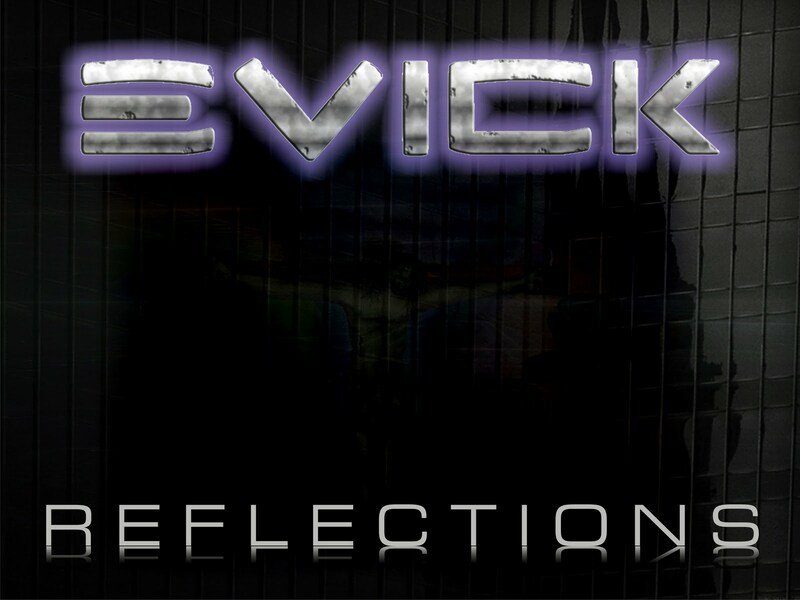 As Evick, the guys have had a couple of CD releases and none more important than their third release, Reflections which came out earlier this year in February. Five years in the making, the delay was the result of lineup changes, technical issues that resulted in all the tracks being lost and of course touring commitments with Bret Michaels. Hey Chuck, thanks for doing this interview! As Evick you have now had CD three releases, the latest being “Reflections”. 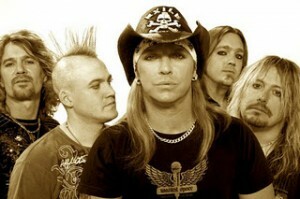 For those here in Australia who only know you as the Bret Michaels Band, how would you describe the sound of Evick? I would describe Evick’s sound as guitar driven pop rock. Very 80’s influenced but with a touch more modern sound. Something like a Bon Jovi meets Goo Goo Dolls or something like that. So after losing the tracks and a lineup change, some 5 years after the songs were written, “Reflections” finally got a release earlier this year. Was it important for you guys to put some closure so to speak on these songs so you could move on with the next phase of Evick? It was. We felt very good about the songs! As far as content goes we felt they were very good songs. But after the lineup change and the disaster of losing the tracks, we felt it was better to go ahead and put out what we could, start fresh on working on new stuff. For a couple reasons: One. nobody likes when you put out a record and you have to figure out who’s playing on what song and all that stuff. And also, when you buy a record, you want the sound to be consistent and the only way to accomplish that would be to go back and re-record all of them at the time of recording the next record. And that just didn’t seem like a good idea. The songs were a part of the guys in the band at the time. You know? Speaking of that next phase, have you guys been writing new tracks for an Evick release? If so, how similar/different is the newer material to what we know from your past 3 releases? We have tried to write a bit. But being that we have been on tour with Bret for most of the year it has been difficult. The ideas we have tossed around during sound checks & things like that are a little more heavy or edgy, but still the same kinda vibe. How would you describe the musical influences within the band, would you say you all share a similar musical upbringing, or are you all different musical beasts entirely? For the most part I would say our tastes are similar. Obviously we are all fans of the 80’s. But each guy also has his own other things that make him unique. I like a lot of country music. Our bass player likes a little heavy metal type stuff. So I would say we are basically the same foundation with a few different branches. What is the song writing process within Evick, is that something that is an all inclusive process from the very start, or are there a few key songwriters? For the most part Pete writes almost everything. He will come up with the riff, structure, lyrical idea etc and from there we all just kinda start jamming it and see where it goes. But Pete is the primary song writer & writes all the lyrics. You recently toured Australia with the Bret Michales Band, what were some of your favourite experiences in Australia, apart from no doubt many “late nights, good times”! Me and our keyboard player had a chance to stop at the Taronga Zoo, in Sydney, which was great! We took the ferry over and spent a good portion of the day there. Did you notice any major differences in the crowds out in Australia compared to the USA? Major differences? No! Anywhere there’s a Bret Michaels show, people are crazy!! Does it still spin you out that here’s ‘Evick’ now travelling to far away places such as Australia playing the songs of a band with a 25 year history, that thousands of people on the other side of the world are still closely attached to? Taking that question even one step further, legend has it that in your very first band together 20 odd years ago, the very first song you and Pete played was Cry Tough, so obviously from the get go, you guys grown up as big Poison fans ? Yes that is pretty much the truth. Pete & I Jammed that day for hours playing like the whole Look What The Cat Dragged In album and a bunch of Kiss songs. One of the other tours I know you have done was travelling to the Middle East to entertain the USA troops, that must have been a pretty amazing experience? It was a very amazing trip. It is really a comfort to your soul to go do a show where there are thousands of people who don’t really have a reason to smile and watch them forget where they are, what they are doing and just enjoy themselves! Even if it is only for an hour or so. It is a very satisfying feeling! When it comes to either recording for a Bret Michaels solo record or playing on stage as the Bret Michaels band, how much of a difference is that for you to go from one to the other? Or is it really a case of Evick is Evick no matter who we play with or what songs we play? We are pretty much the same no matter what we are doing. We are the Real Thing. What you see is what you get. And you get it every single time. Whether in Evick or BMB. So in closing, if you could pick one Poison, Evick or Bret Michaels song that you thinks best reflects the history of Evick….what would it be?